TORONTO, ON – The organizers of Cask Days in Toronto have announced details of a family-friendly event on the Sunday afternoon of the festival weekend. 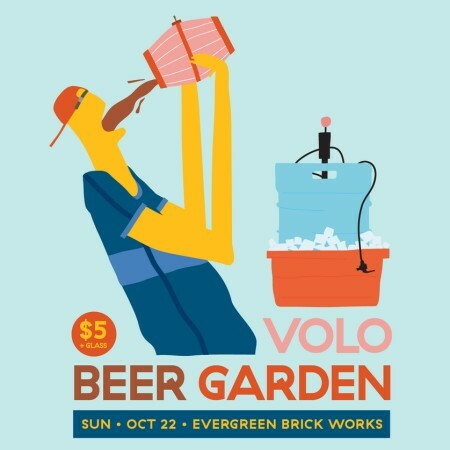 The Volo Beer Garden will be taking place on Sunday October 22nd from 1:00 to 6:00 PM at Evergreen Brickworks, and will offer 100+ cask beers from the main Cask Days festival, and well as more than two dozen draught beers from breweries in Oregon, Maine, New York, British Columbia, and Québec. The day will also feature food by Michelin starred chef Daniel Burns (Tørst/Luksus), and music by DJ Tim Sweeney (Beats In Space), both from NYC. Non-alcoholic drinks will also be available. Admission to the Volo Beer Garden will be $5 for Cask Days attendees who bring their festival tasting glass along, and $10 for all others, with free admission for kids under 12. For more details and to reserve tickets, see the event page on the Cask Days website. Full information on programming for the entire Cask Days festival – including participating breweries, food vendors, entertainment, and ticket details – can be found via the main Cask Days website.